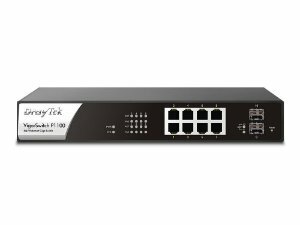 The DrayTek VigorSwitch P1090, an 8-port Gigabit unmanaged switch offers Power over Ethernet (PoE) capability on all its 8 ports. PoE-powered devices, such as IP phones, wireless access points, and IP cameras can all rely on VigorSwitch P1090 switch for the power supply and be placed wherever they should be, not being limited by the position of the power outlets. 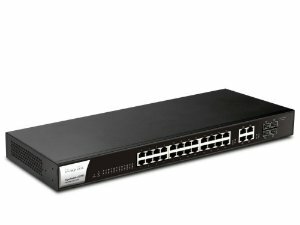 You can also remotely reboot the device by simply removing its Ethernet cable from the switch end. 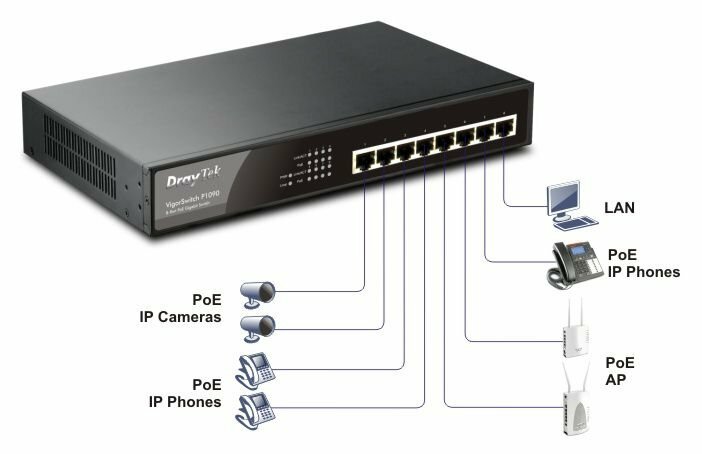 VigorSwitch P1090 performs auto-sensing and delivers power only when detecting the presence of an 802.3af/at PoE device, thus to save the power and prevents compatibility issues or possible damage.